Facilities The hotel comprises a total of 41 rooms. 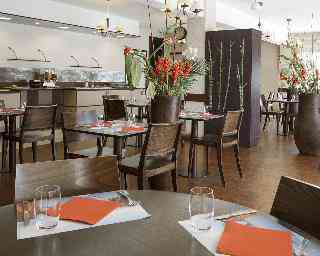 Services and facilities at the hotel include a restaurant, a dining area, car hire and a business centre. Wireless internet access is available to travellers in the public areas. Those arriving in their own vehicles can leave them in the car park of the establishment. Rooms Each of the rooms is appointed with air conditioning and a bathroom. 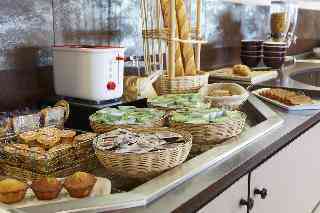 Guests will also find a tea/coffee station included as standard. Little extras, including internet access, a telephone, a TV and WiFi, contribute to a great stay. The bathroom offers convenient facilities including a shower. A hairdryer is also available. 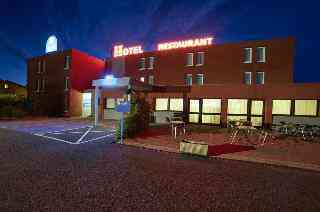 The accommodation offers non-smoking rooms. Sports/Entertainment A refreshing dip in the indoor or outdoor pool is an enjoyable way to cool down on hot days. The terrace is a great place to while away the time. Active guests can choose from a range of leisure activities, including a spa, a sauna and massage treatments.